"Oil on canvas" redirects here. For the album, see Oil on Canvas. Traditional oil painting techniques often begin with the artist sketching the subject onto the canvas with charcoal or thinned paint. Oil paint is usually mixed with linseed oil, artist grade mineral spirits, or other solvents to make the paint thinner, faster or slower-drying. (Because these solvents thin the oil in the paint, they can also be used to clean paint brushes.) A basic rule of oil paint application is 'fat over lean', meaning that each additional layer of paint should contain more oil than the layer below to allow proper drying. If each additional layer contains less oil, the final painting will crack and peel. This rule does not ensure permanence; it is the quality and type of oil that leads to a strong and stable paint film. There are many other media that can be used with the oil, including cold wax, resins, and varnishes. These additional media can aid the painter in adjusting the translucency of the paint, the sheen of the paint, the density or 'body' of the paint, and the ability of the paint to hold or conceal the brushstroke. These aspects of the paint are closely related to the expressive capacity of oil paint. Traditionally, paint was transferred to the painting surface using paintbrushes, but there are other methods, including using palette knives and rags. Oil paint remains wet longer than many other types of artists' materials, enabling the artist to change the color, texture or form of the figure. At times, the painter might even remove an entire layer of paint and begin anew. This can be done with a rag and some turpentine for a time while the paint is wet, but after a while the hardened layer must be scraped. Oil paint dries by oxidation, not evaporation, and is usually dry to the touch within a span of two weeks (some colors dry within days). It is generally dry enough to be varnished in six months to a year. 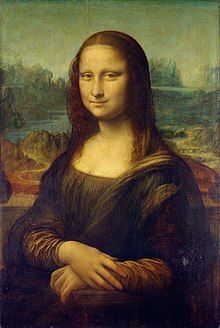 Although the history of tempera (pigment mixed with either egg whites or egg yolks, then painted on a plastered section) and related media in Europe indicates that oil painting was discovered there independently, there is evidence that oil painting was used earlier in Afghanistan. Outdoor surfaces and surfaces like shields—both those used in tournaments and those hung as decorations—were more durable when painted in oil-based media than when painted in the traditional tempera paints. Most Renaissance sources, in particular Vasari, credited northern European painters of the 15th century, and Jan van Eyck in particular, with the "invention" of painting with oil media on wood panel supports ("support" is the technical term for the underlying backing of a painting). However, Theophilus (Roger of Helmarshausen?) clearly gives instructions for oil-based painting in his treatise, On Various Arts, written in 1125. At this period, it was probably used for painting sculptures, carvings and wood fittings, perhaps especially for outdoor use. However, early Netherlandish painting with artists like Van Eyck and Robert Campin in the 15th century were the first to make oil the usual painting medium, and explore the use of layers and glazes, followed by the rest of Northern Europe, and only then Italy. Early works were still panel paintings on wood, but around the end of the 15th century canvas became more popular as the support, as it was cheaper, easier to transport, allowed larger works, and did not require complicated preliminary layers of gesso (a fine type of plaster). Venice, where sail-canvas was easily available, was a leader in the move to canvas. Small cabinet paintings were also made on metal, especially copper plates. These supports were more expensive but very firm, allowing intricately fine detail. Often printing plates from printmaking were reused for this purpose. The popularity of oil spread through Italy from the North, starting in Venice in the late 15th century. By 1540, the previous method for painting on panel (tempera) had become all but extinct, although Italians continued to use chalk-based fresco for wall paintings, which was less successful and durable in damper northern climates. The linseed oil itself comes from the flax seed, a common fiber crop. Linen, a "support" for oil painting (see relevant section), also comes from the flax plant. Safflower oil or the walnut or poppyseed oil are sometimes used in formulating lighter colors like white because they "yellow" less on drying than linseed oil, but they have the slight drawback of drying more slowly and may not provide the strongest paint film. Linseed oil tends to dry yellow and can change the hue of the color. Recent advances in chemistry have produced modern water miscible oil paints that can be used and cleaned up with water. Small alterations in the molecular structure of the oil creates this water miscible property. Traditional artists' canvas is made from linen, but less expensive cotton fabric has gained popularity. The artist first prepares a wooden frame called a "stretcher" or "strainer". The difference between the two names is that stretchers are slightly adjustable, while strainers are rigid and lack adjustable corner notches. The canvas is then pulled across the wooden frame and tacked or stapled tightly to the back edge. Then the artist applies a "size" to isolate the canvas from the acidic qualities of the paint. Traditionally, the canvas was coated with a layer of animal glue (modern painters will use rabbit skin glue) as the size and primed with lead white paint, sometimes with added chalk. Panels were prepared with a gesso, a mixture of glue and chalk. Modern acrylic "gesso" is made of titanium dioxide with an acrylic binder. It is frequently used on canvas, whereas real gesso is not suitable for canvas. The artist might apply several layers of gesso, sanding each smooth after it has dried. Acrylic gesso is very difficult to sand. 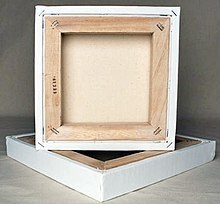 One manufacturer makes a "sandable" acrylic gesso, but it is intended for panels only and not canvas. It is possible to make the gesso a particular color, but most store-bought gesso is white. The gesso layer, depending on its thickness, will tend to draw the oil paint into the porous surface. Excessive or uneven gesso layers are sometimes visible in the surface of finished paintings as a change that's not from the paint. Standard sizes for oil paintings were set in France in the 19th century. The standards were used by most artists, not only the French, as it was—and evidently still is—supported by the main suppliers of artists' materials. Size 0 (toile de 0) to size 120 (toile de 120) is divided in separate "runs" for figures (figure), landscapes (paysage) and marines (marine) that more or less preserve the diagonal. Thus a 0 figure corresponds in height with a paysage 1 and a marine 2. Although surfaces like linoleum, wooden panel, paper, slate, pressed wood, Masonite, and cardboard have been used, the most popular surface since the 16th century has been canvas, although many artists used panel through the 17th century and beyond. Panel is more expensive, heavier, harder to transport, and prone to warp or split in poor conditions. For fine detail, however, the absolute solidity of a wooden panel has an advantage. A traditional wood palette used to hold and mix small amounts of paint while working. Oil paint is made by mixing pigments of colors with an oil medium. Different colors are made, or purchased premixed, before painting begins, but further shades of color are usually obtained by mixing small quantities together as the painting process is underway. 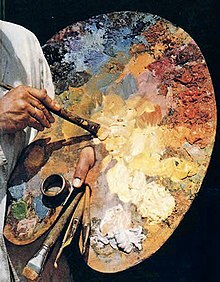 An artist's palette, traditionally a thin wood board held in the hand, is used for holding and mixing paints of different colors. Pigments may be any number of natural or synthetic substances with color, such as sulphides for yellow or cobalt salts for blue. Traditional pigments were based on minerals or plants, but many have proven unstable over long periods of time; the appearance of many old paintings today is very different from the original. Modern pigments often use synthetic chemicals. The pigment is mixed with oil, usually linseed, but other oils may be used. The various oils dry differently, which creates assorted effects. Traditionally, artists mixed their own paints from raw pigments that they often ground themselves and medium. This made portability difficult and kept most painting activities confined to the studio. This changed in the 1800s, when tubes of oil paint became widely available following the American portrait painter John Goffe Rand's invention of the squeezable or collapsible metal tube in 1841 (the year of Claude Monet's birth). Artists could mix colors quickly and easily, which enabled, for the first time, relatively convenient plein air painting (a common approach in French Impressionism). 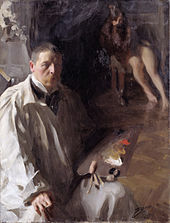 A brush is most commonly employed by the artist to apply the paint, often over a sketched outline of their subject (which could be in another medium). Brushes are made from a variety of fibers to create different effects. For example, brushes made with hog bristle might be used for bolder strokes and impasto textures. Fitch hair and mongoose hair brushes are fine and smooth, and thus answer well for portraits and detail work. Even more expensive are red sable brushes (weasel hair). The finest quality brushes are called "kolinsky sable"; these brush fibers are taken from the tail of the Siberian weasel. This hair keeps a superfine point, has smooth handling, and good memory (it returns to its original point when lifted off the canvas), known to artists as a brush's "snap." Floppy fibers with no snap, such as squirrel hair, are generally not used by oil painters. In the past few decades, many synthetic brushes have been marketed. These are very durable and can be quite good, as well as cost efficient. Brushes come in many sizes and are used for different purposes. The type of brush also makes a difference. For example, a "round" is a pointed brush used for detail work. "Flat" brushes are used to apply broad swaths of color. "Bright" is a flat brush with shorter brush hairs, used for "scrubbing in". "Filbert" is a flat brush with rounded corners. "Egbert" is a very long, and rare, filbert brush. The artist might also apply paint with a palette knife, which is a flat metal blade. A palette knife may also be used to remove paint from the canvas when necessary. A variety of unconventional tools, such as rags, sponges, and cotton swabs, may be used to apply or remove paint. Some artists even paint with their fingers. Oil painters traditionally applied paint in layers known as "glazes", a method also simply called "indirect painting". This method was first perfected through an adaptation of the egg tempera painting technique, and was applied by the Flemish painters in Northern Europe with pigments ground in linseed oil. More recently, this approach has been called the "mixed technique" or "mixed method". The first coat (the underpainting) is laid down, often painted with egg tempera or turpentine-thinned paint. This layer helps to "tone" the canvas and to cover the white of the gesso. Many artists use this layer to sketch out the composition. This first layer can be adjusted before proceeding further, an advantage over the "cartooning" method used in fresco technique. After this layer dries, the artist might then proceed by painting a "mosaic" of color swatches, working from darkest to lightest. The borders of the colors are blended together when the "mosaic" is completed, and then left to dry before applying details. Artists in later periods, such as the Impressionist era (late 19th century), often expanded on this wet-on-wet method, blending the wet paint on the canvas without following the Renaissance-era approach of layering and glazing. This method is also called "alla prima". This method was created due to the advent of painting outdoors, instead of inside a studio, because while outside, an artist did not have the time to let each layer of paint dry before adding a new layer. Several contemporary artists use a combination of both techniques to add bold color (wet-on-wet) and obtain the depth of layers through glazing. When the image is finished and has dried for up to a year, an artist often seals the work with a layer of varnish that is typically made from dammar gum crystals dissolved in turpentine. Such varnishes can be removed without disturbing the oil painting itself, to enable cleaning and conservation. Some contemporary artists decide not to varnish their work, preferring the surface unvarnished. ^ Barry, Carolyn. "Earliest Oil Paintings Found in Famed Afghan Caves". National Geographic Society. Retrieved 7 January 2013. ^ "Rediscovering treasures of Bamiyan". BBC News. 17 July 2008. Retrieved 20 May 2010. ^ Haaf, Beatrix (1987). "Industriell vorgrundierte Malleinen. Beiträge zur Entwicklungs-, Handels- und Materialgeschichte". Zeitschrift für Kunsttechnologie und Konservierung. 1: 7–71. ^ "Oil painting reproductions museum quality". COP Gallery. 30 December 2017. Wikimedia Commons has media related to Oil paintings. This page was last edited on 28 January 2019, at 23:45 (UTC).